CHICAGO (February 9, 2015)—According to the Environmental Protection Agency, March 1, 2015 is the deadline for companies to file Tier II chemical inventory reports. As the deadline draws near, MSDSonline — the leading provider of cloud-based Environment, Health and Safety (EHS) compliance solutions — is reminding chemical end users that its suite of cloud-based MSDS/Chemical Inventory Management tools can help them determine if they are required to file a Tier II report and easily meet all reporting obligations that may be required. Tier II reporting is mandated by the Superfund Amendments and Reauthorization Act (SARA), a law passed by Congress in 1986 in response to the 1984 Bhopal chemical disaster in India. Within SARA is a separate law known informally as SARA Title III, which requires employers to file a Tier II Report with information about the types, quantities and locations of EPA-regulated hazardous chemicals. Tier II reports are designed to help local and state emergency responders prepare for chemical events that could impact the community, and provides them with an emergency point of contact for each reporting facility. The MSDSonline system makes it easy for users to determine their Tier II reporting obligations and electronically generate and submit Tier II reports. Most states now allow (or even require) that Tier II forms be filed electronically. EPA violations and penalties for failing to report required chemicals can reach as high as $27,500 per violation. And under EPA rules, each day that a violation continues to exist can constitute a separate violation. According to Trout, the MSDSonline regulatory tools are kept current and relevant to ever-changing regulatory systems and requirements such as the recent Global Harmonized System for the classification and labeling of chemicals (GHS), OSHA’s Hazard Communication standard, and Canada’s WHMIS standard. 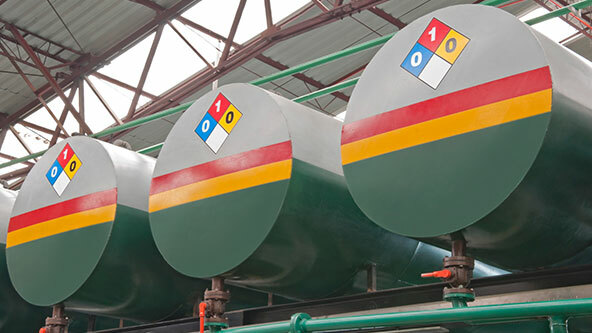 In addition, the company maintains the industry’s largest online MSDS database, giving users access to millions of regularly-updated chemical safety data sheets. To learn more about how MSDSonline can help with Tier II reporting requirements, visit our EPA Tier II Resource page. To speak to one of our representatives about why MSDSonline might be right for you, call us toll-free +1-888-362-2007 (United States and Canada) or +1-312-881-2000. Founded in 1996 and based in Chicago, MSDSonline is a leading provider of cloud-based EHS compliance solutions, offering products and services for managing safety data sheets, reporting workplace incidents, training employees and administering other critical EHS information. The company’s mission is to provide sustainable solutions that help customers improve employee safety, streamline compliance recordkeeping and reduce potential exposures to workplace hazards and risks. MSDSonline has been recognized for six years on Inc. magazine’s list of America’s 5,000 fastest-growing private companies. More information is available online at www.MSDSonline.com and on the official company blog at www.MSDSonline.com/blog. MSDSonline is an Actua (Nasdaq: ACTA) company.